Preheat oven to 350 degrees. 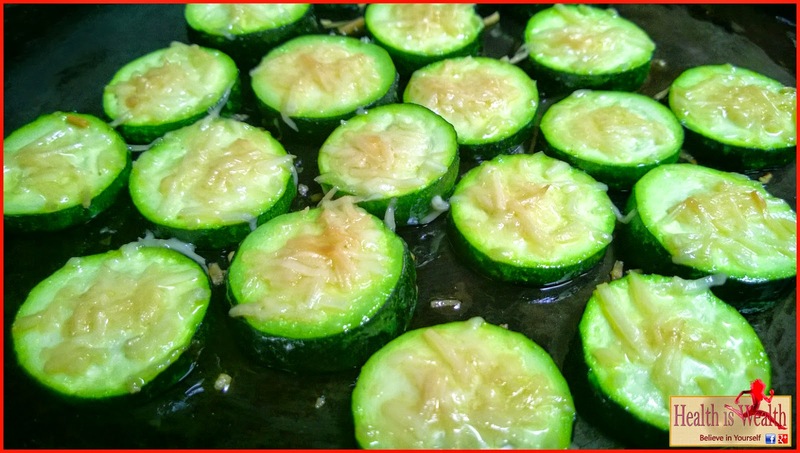 Peel and slice zucchini. Mix garlic powder, black pepper and olive oil in small bowl. Put parmesan cheese in separate small bowl. 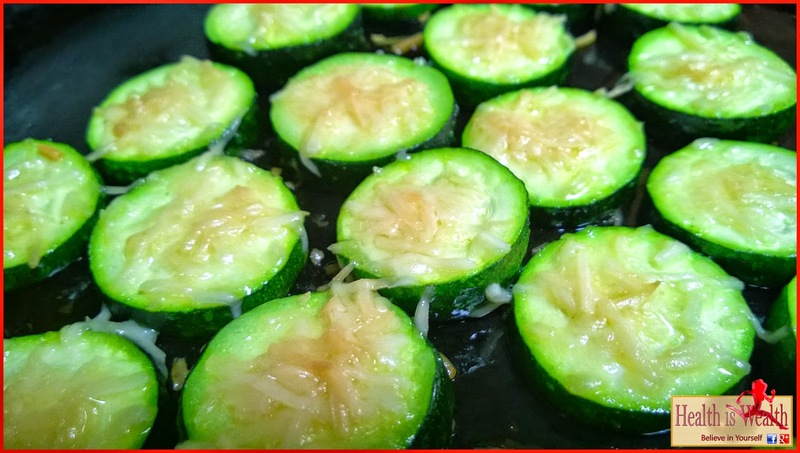 Coat zucchini slices, one at a time, with olive oil mixture. 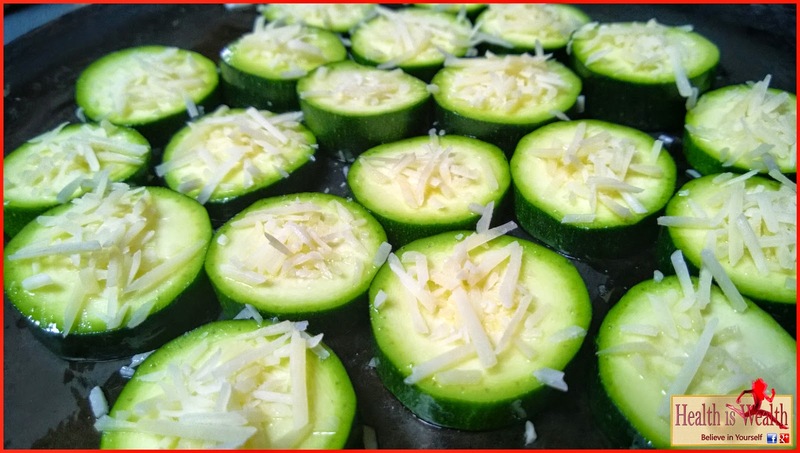 Then press both sides of zucchini in parmesan cheese to form coating. Place on cookie sheet. When all slices are coated, bake for 13-15 minutes, until bubbly and slightly golden brown. Cool on cookie sheet a few minutes before removing. Enjoy!